First founded as a women’s college in 1927 in Weston, Massachusetts, Regis upholds its status as a private Catholic coed university focusing on advanced studies in healthcare. It was recently named Center of Excellence in Nursing Education by the National League of Nursing for the third time and was awarded the title of Apple Distinguished School from 2016 to 2018. Those at Regis College who have committed to bringing Marian, Or The True Tale of Robin Hood to the stage are inclined to incite more interest in the performing arts throughout the region with this production… “It’s an amazing insightful play,” Potts notes, “one that we’re excited to share with the entire Regis community.” As preparations are made, the historic Eleanor Welch Casey Theatre located on Regis’ campus will serve as the main venue. 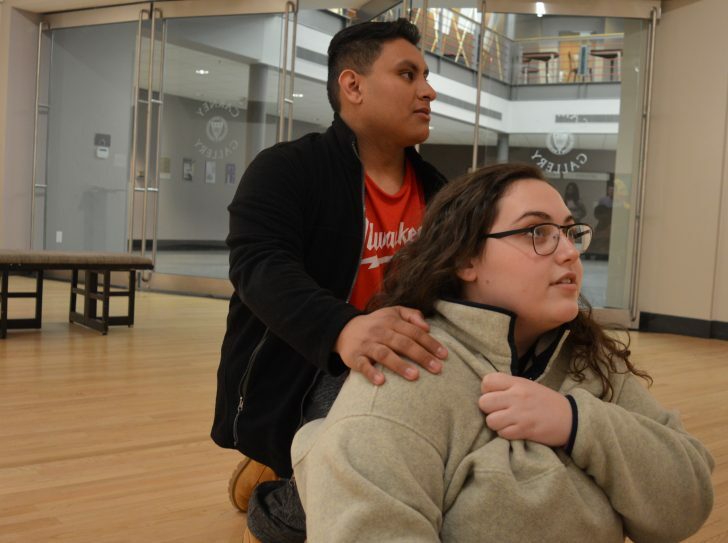 Equipped with a state-of-the-art sound system funded by the Massachusetts Cultural Council and 625-person seating capacity, the theatre will hold three scheduled performances of Marian, 7 p.m. on April 11 and 12, and 13th at 2 p.m.